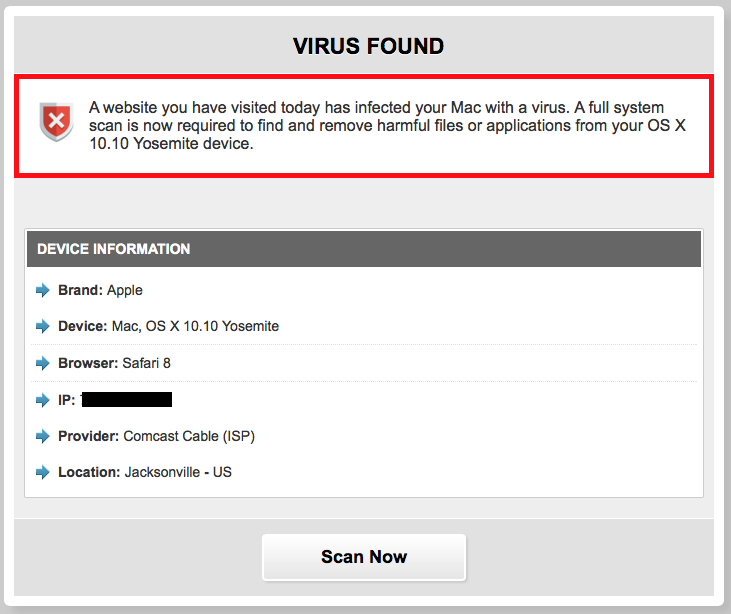 Today, our reader Jeff noted how domains ending in ".com.com" are being redirected to what looks like malicious content. Back in 2013, A blog by Whitehat Security pointed out that the famous "com.com" domain name was sold by CNET to known typo squatter dsparking.com . Apparently, dsparking.com paid $1.5 million for this particular domain. Currently, the whois information uses privacy protect, and DNS for the domain is hosted by Amazon's cloud. As a "solution", I was offered the well known scam-app "Mackeeper"
Probably best to block DNS lookups for any .com.com domains. The IP address is likely going to change soon, but I don't think there is any valid content at any ".com.com" host name. The Whitehat article does speak to the danger of e-mail going to these systems. A MX record is configured, but the mail server didn't accept any connections from me (maybe it is overloaded?). Amazon EC2 abuse was notified.